After 3 months of working on Poppy with lots of my friends, I finally located the problem with the engine shutting down every so often. The culprit wasn’t electrical it turned out to be bad brushes in the Mallory electric fuel pump. It would work sometimes when the brushes contacted the rotor and would shut the engine down when it didn’t. I didn’t know fuel pumps had brushes but should have known all motors have brushes. The good news is that I found the problem and it’s fixable with a new pump. Poppy also has a new Pertronix distributor and coil and all the old parts are still in good shape for the next project that comes along. I, along with my friends always thought it was the distributor or something electrical shorting out but that wasn’t the case. I feel that I am an expert on Poppy’s ignition and fuel delivery systems. A break down on the road would be something I could diagnose and repair by carrying extra parts with me. The repair would only be difficult if I couldn’t access the underneath fuel pump do to the lowness of the car. AAA would be my first call in that scenario. I have ordered the new Mallory Marine pump and it should be here tomorrow. 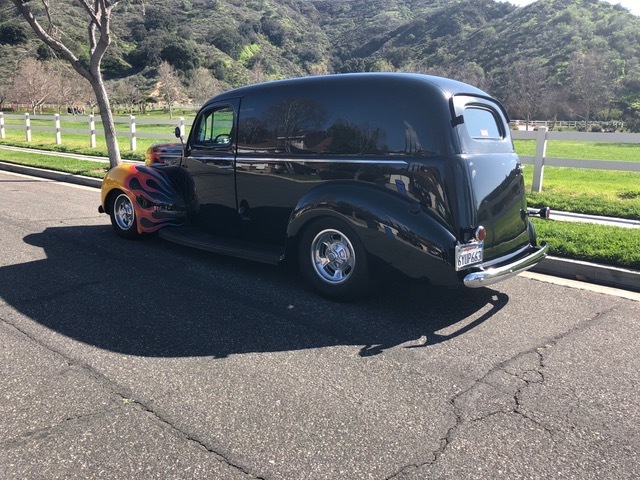 I’m confident this is the problem, but stay tooned and it’s a hot rod. With that problem behind me, I can turn my attention to Pepe who is not running right at higher RPM’s. The EFI needs a good running and maybe some filter screens in the injector tubes. I need to purchase new stack with the screw in screens. I also need to check with my hand-held any codes that may indicate a problem with one of the injectors. They do go bad and need replaced or cleaned. I’m looking forward to the spring and summer events that I have planned to attend. This is the beginning of another great year of keeping the Flame Burning at Pewsplace.com. 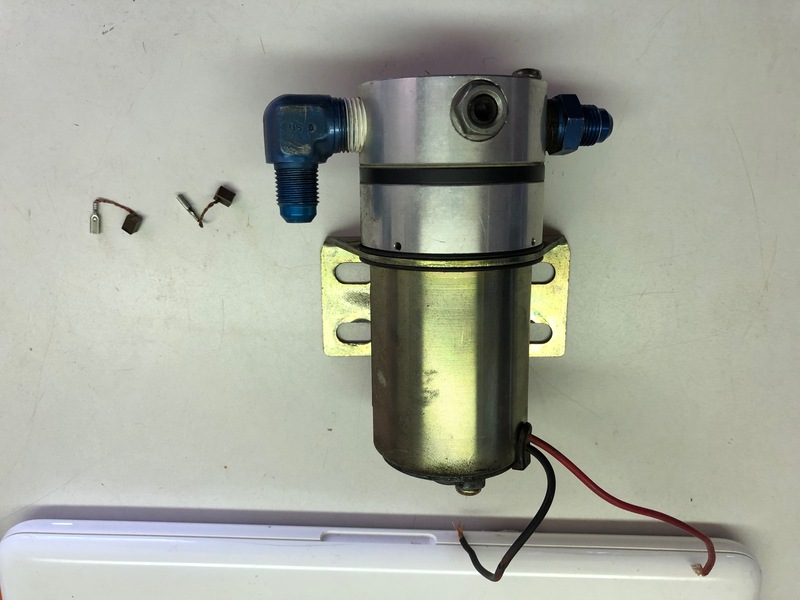 The problem was this Mallory Marine electric fuel pump had worn the brushes down to nothing so they did work most of the time. I don’t know why Boyd used these expensive pumps but I presume for their sealed case to protect them from water. They can be rebuilt but I opted for a new one. 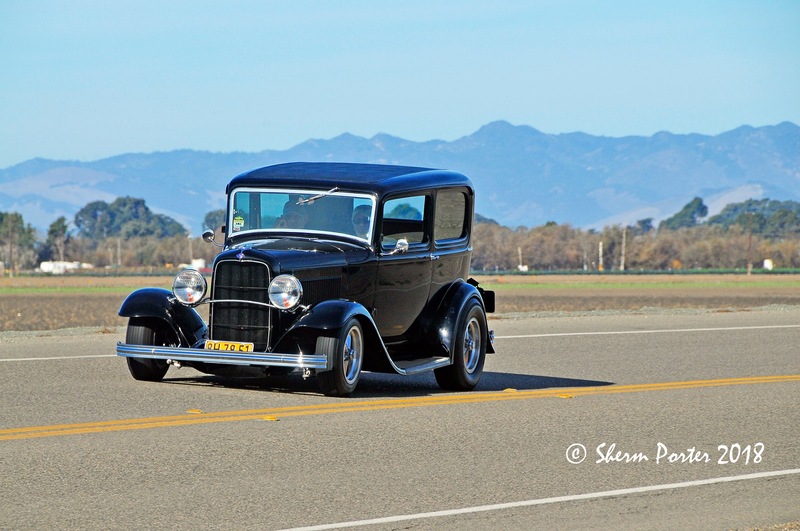 Sherm captured John and his Deuce rolling down the road. I do like a stock height, full fendered sedan. 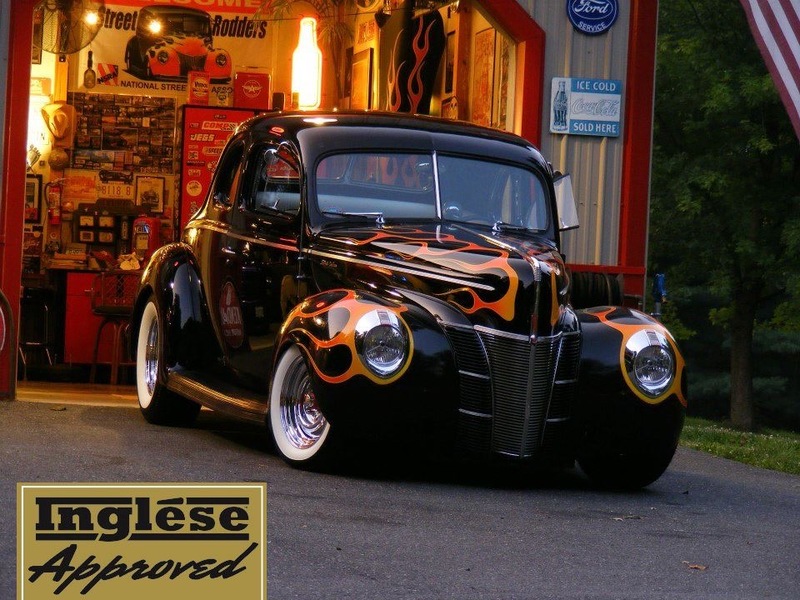 A very classy ride! 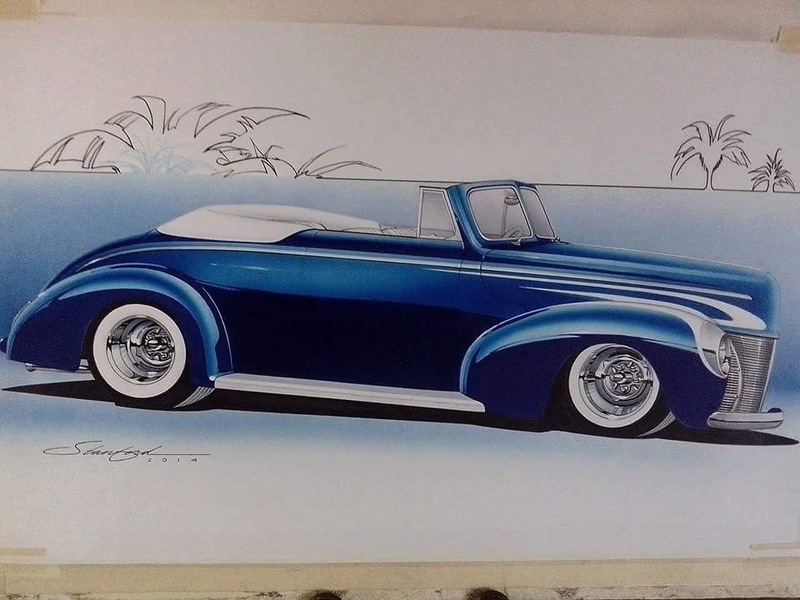 Here is an interesting concept for a 40 convertible by Steve Sanford. 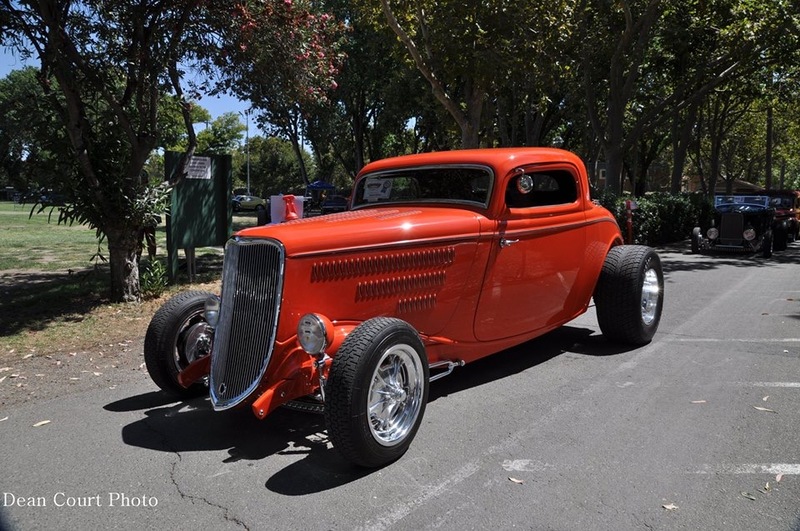 Super photo of Andy’s 40 coupe! I didn’t know he had Inglese injection on his coupe. 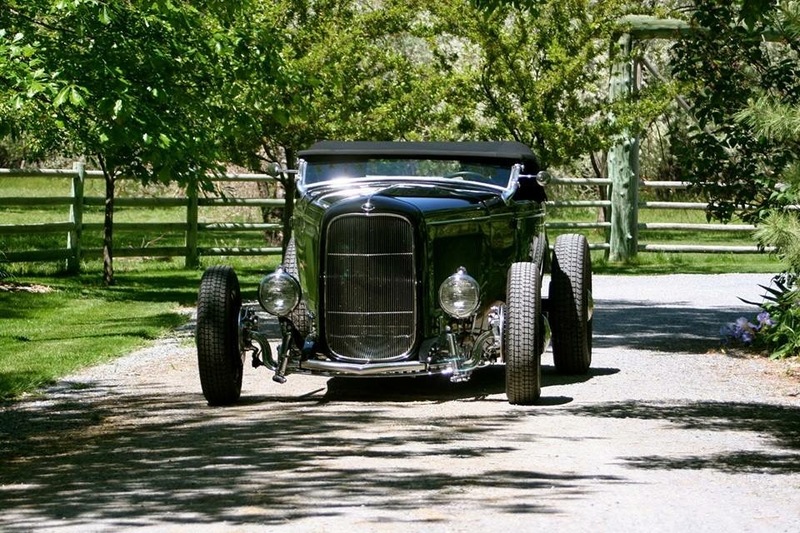 Wayne’s coupe is one of my favorites and he keeps in standing tall all the time. 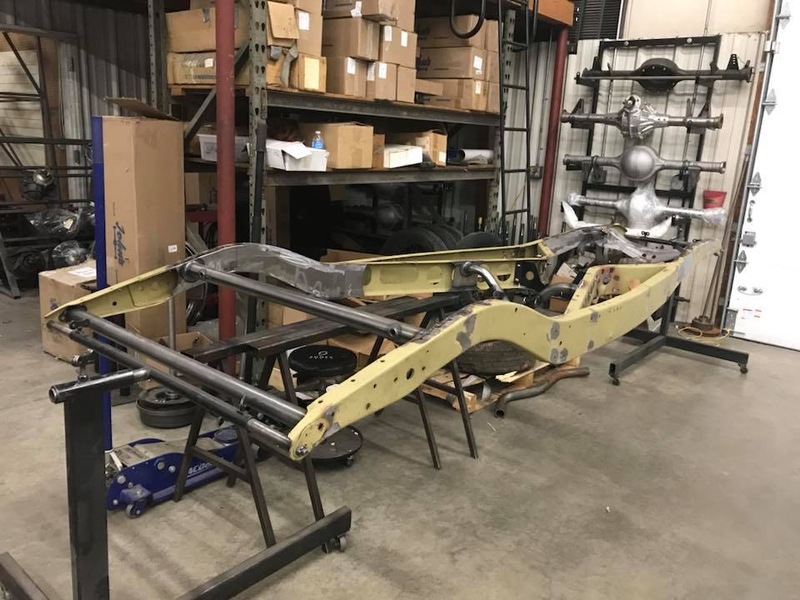 This stock 34 chassis is going together at P&J’s. Of interest is the straight rear crossmember they used with the V8 Winters which Jason states it will clear without hitting. I used their QC one in mine but I used a Champ. I am looking for a stock model 40 chassis. 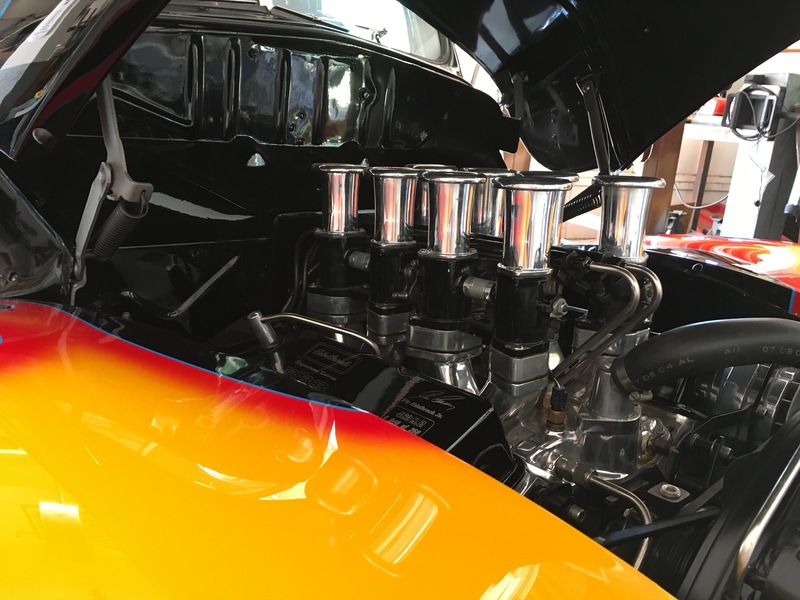 One of my reader sent along photos of his Deuce at Havasu. Look very clean and well done. Red and Saddle interior is one of my favorite colors. 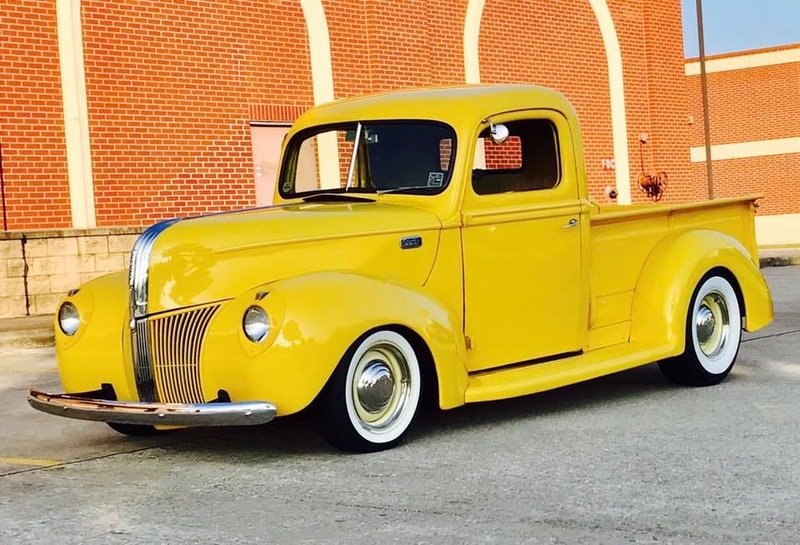 A beautiful 41 pickup done in yellow with whitewalls looks fantastic. 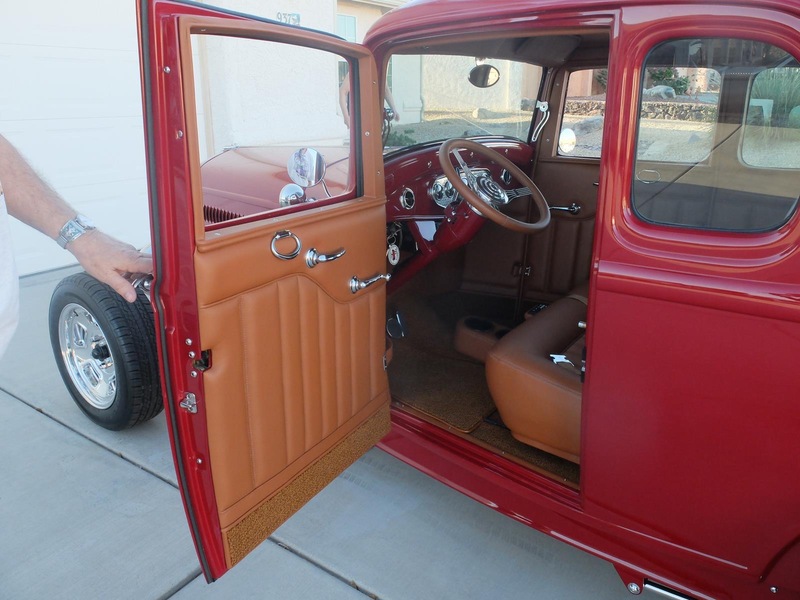 One of Boyd’s last creations was this B-400 now owned by Gary Matranga. I watched it being built at Boyd’s/Poor Boys. I took Pepe out for a drive on this beautiful day in the Valley. No Bad Days! Inglese can supply me with the new stack and screens which should help me with keeping the dirt out of the injectors. The Stanley Wanless windshield has become real popular in our area. 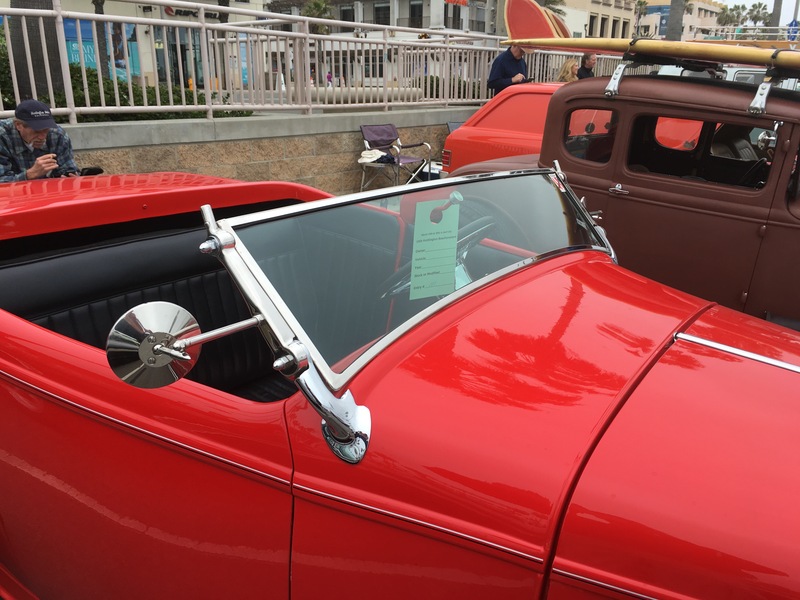 Note raised rear wheel wells. Low-Low! The sinister look is obvious from this angle. 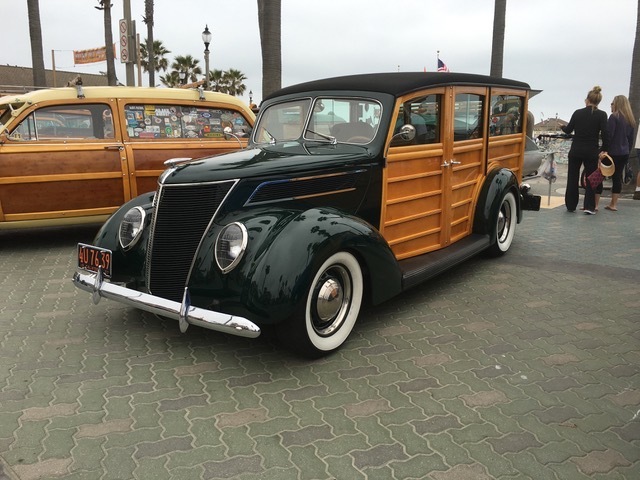 Jane and I loved this 37 Woodie done in a dark green with perfect new wood. 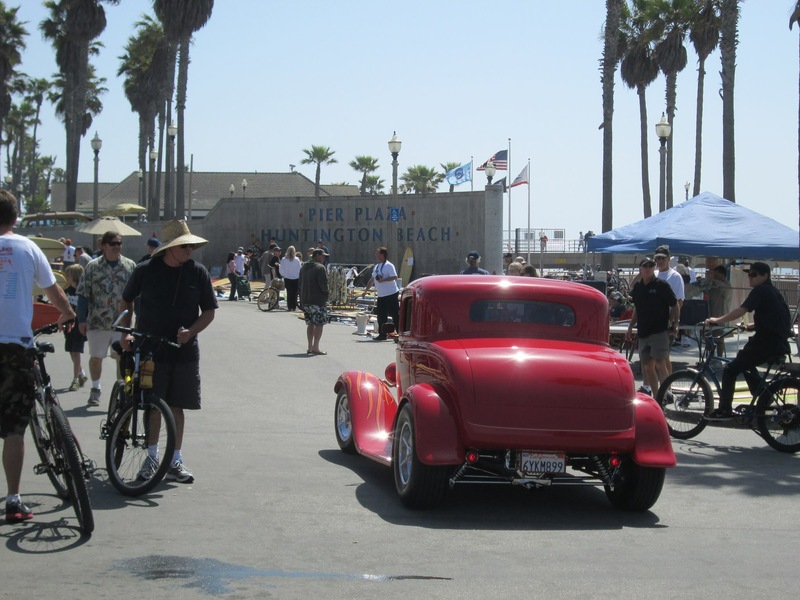 Cruising the Swap Meet in HB in Walt’s coupe was fun. 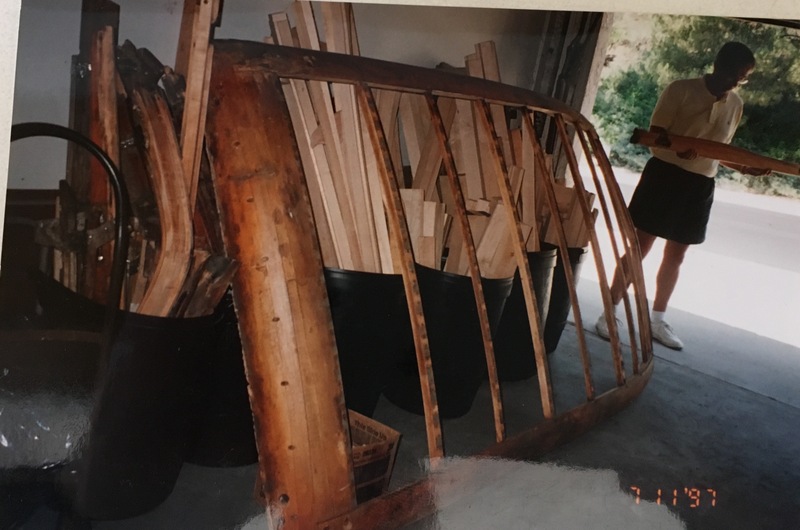 I have always loved Woodies and here I am looking at a project 46 Woody with all new wood plus the old wood. Jane said NO! 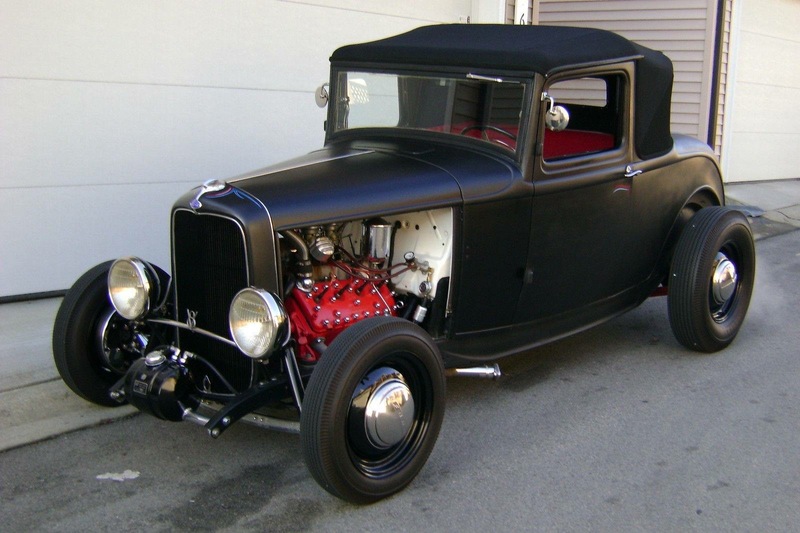 High School Hot Rod. 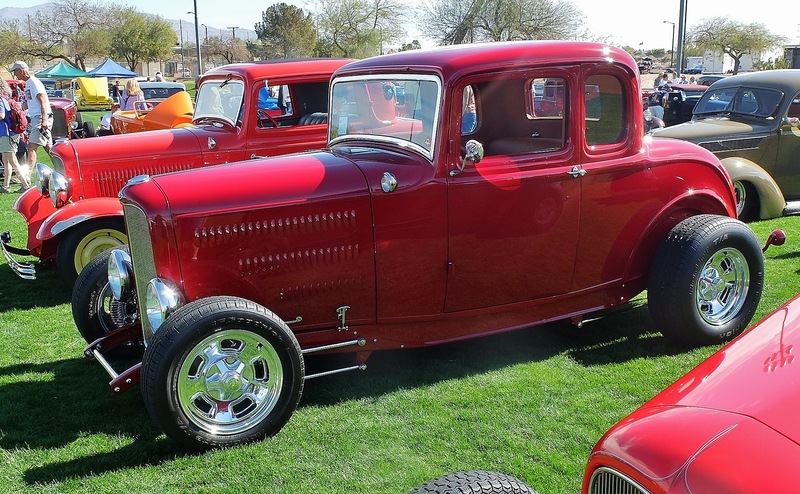 A Rare Sport Coupe model. 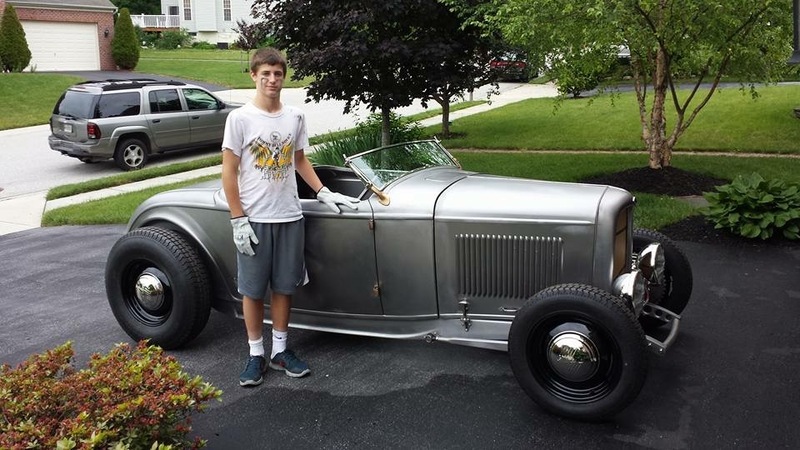 Nice shot of Ray’s 33 roadster hiboy. 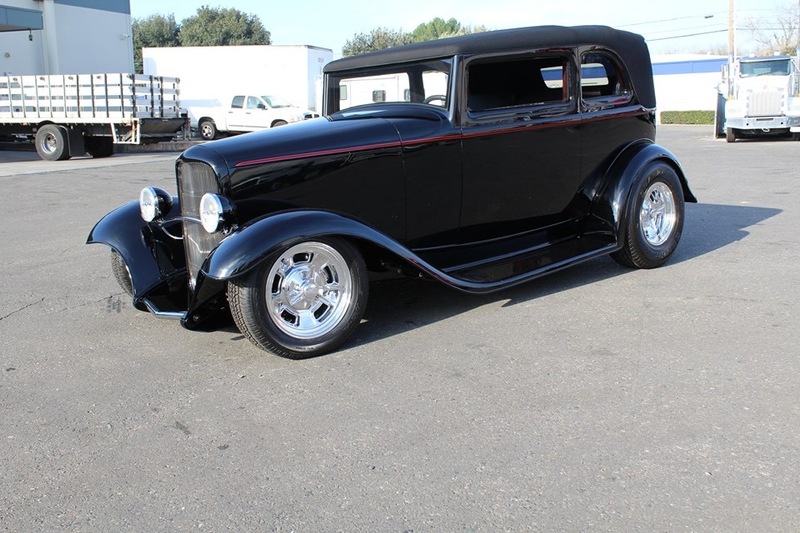 Certainly a classic from my days this fully restored Deuce never lost its appeal.